Exact diagonalization (ED) is an unbiased and versatile method to study a large variety of quantum many-body systems, ranging from quantum chemistry and nuclear structure calculations to correlated systems in condensed matter physics and ultracold atomic gases. 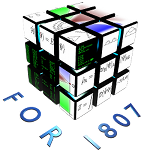 In the first funding period of this project within the research unit 1807 we have successfully developed a flexible message-passing interface (MPI) based parallel exact diagonalization code for quantum spin models. We have applied this and related codes to several current problems in frustrated quantum magnetism and correlated fermions, and started an activity on energy spectroscopy of quantum critical points in 2+1 space-time dimensions. The purpose of this project in the next funding period is to further develop and apply a state-of-the-art ED framework for quantum spin and fermionic lattice models, and in a second step also for simple quantum field theories. Specifically we want to implement spectral function and real- time evolution functionality, as well as a larger set of local Hilbert spaces, including fermions. We will then apply this code to spectral functions of Heisenberg-Kitaev models on various lattices, and to map out the overlaps of various proposed spin liquid wave functions to the Kagome Heisenberg antiferromagnet and other putative quantum spin liquids. Further we want to pursue the field theory spectroscopy approach and study fermionic lattice models in the Gross-Neveu universality class, or designer Hamiltonians possibly displaying deconfined quantum critical points. As an interesting novel and complementary avenue we want to investigate direct Hamiltonian truncation schemes of quantum field theories using our large-scale ED technology.